Not to mention a lot of people are running out on the presence of new DDR4-4600MHz memory for Intel X299 HEDT platform, and memory sDDR4-4800 and DDR4-4333 it, G.Skill reportedly even re-launched one more memory kit claimed bigger and faster ie a Trident Z RGB DDR4-4266MHz memory module in a 32GB (8GBx4) kit. This new G.Skill Back DDR4-4266MHz 32GB Trident Z RGB memory module operates on DDR4-4266MHz with CL timings 19-23-23-43 and 1.4V voltages. In addition to being built with choice and high-quality components, this new 4x8GB memory device is also equipped with Intel XMP 2.0 support. As with all Trident Z RGB memory devices, this memory module is said to have been equipped with a full length light rod on a heatsink that is capable of displaying a combination of combinations and seemingly endless color effects. Not only that, this new memory kit also has support function “OC profile” on a compatible motherboard that allows support the concept of overclocking One click. 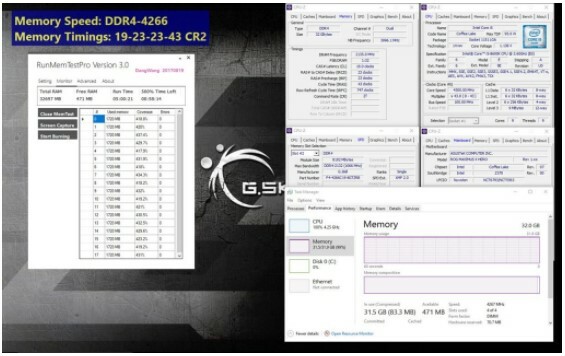 Meanwhile, to further convince consumers, G.Skill reportedly also has provided a screenshot validation of the Trident Z existence on DDR4-4266MHz with timing CL19-23-23-43 and 1.40V voltage, and stress tests on DDR4-4500MHz with timings CL19-19 -19-39. Both tests are done, reportedly done on systems that use Asus ROG Maximus X Hero WI-FI AC motherboard powered Intel Core i5-8600K processor. 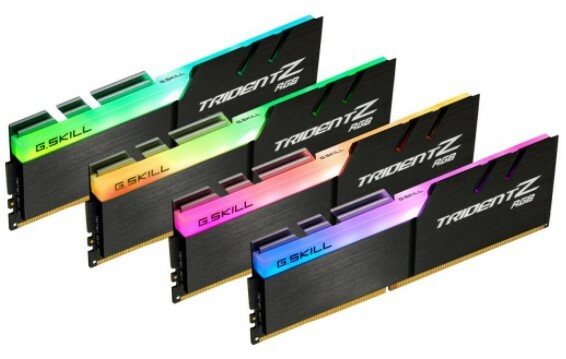 Although it is scheduled to be available in December 2017, G.Skil still seems unwilling to disclose the price tagged for this new Trident Z RGB memory kit.